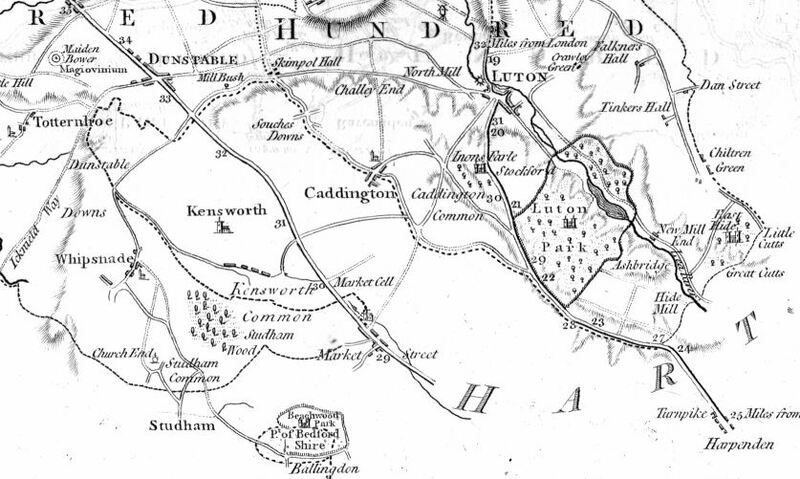 This was published as a loose sheet circa 1850. It shows the Luton and Dunstable Railway, engraved over a map first published earlier in the century. 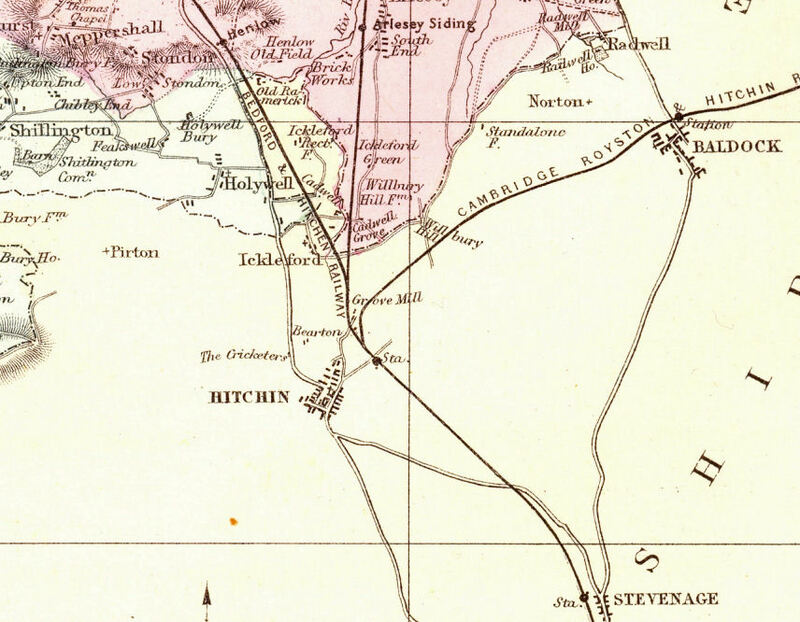 The Railway Age has arrived. 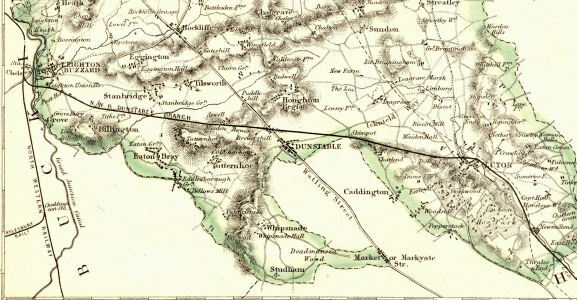 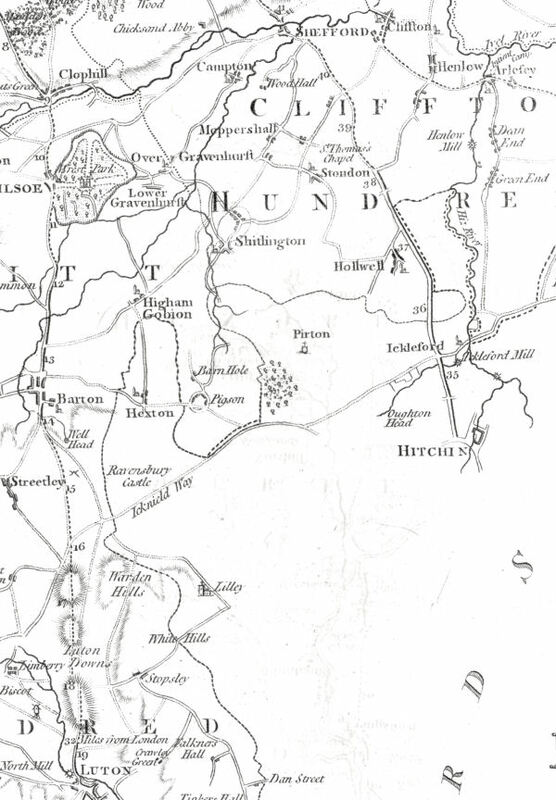 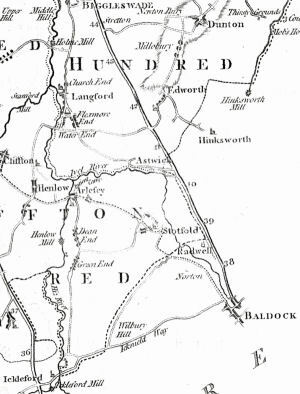 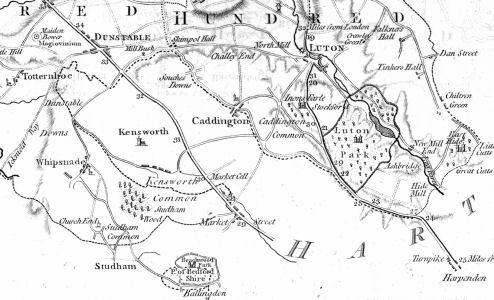 This detail shows the London and North Western Railway and the Grand Junction Canal to the west, together with the Dunstable Branch and the start of the Aylesbury Branch line. 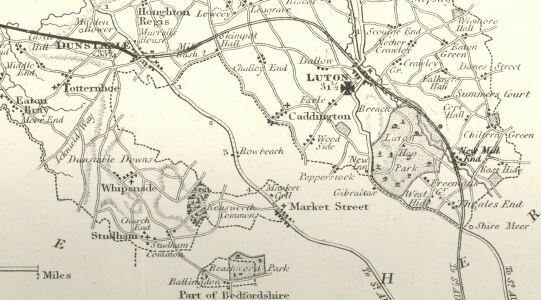 It also shows, as a dotted line the route of the Midland Railway, which was under construction. 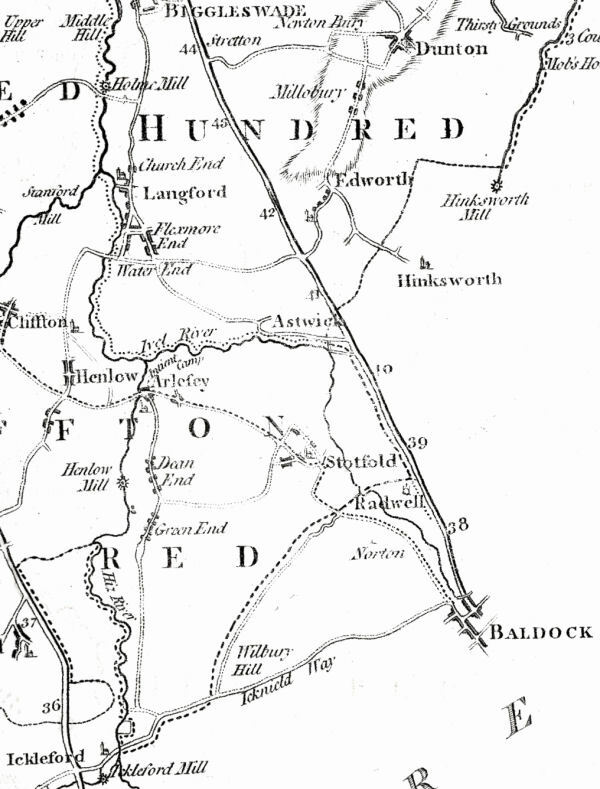 Published by George W Bacon, 1886. 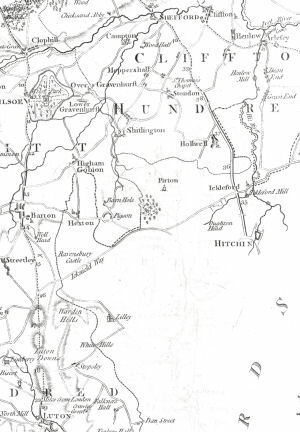 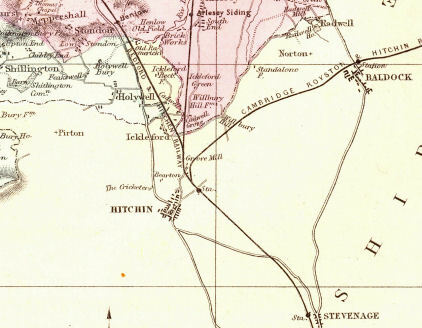 This map clearly shows the railway lines branching from the Great Northern Railway immediately north of Hitchin railway station.